Friday's opening night to the 11th annual NHRA Carolina Nationals presented by WIX Filters at zMAX Dragway saw Ron Capps build on his bid for the NHRA Mello Yello Drag Racing Series' Funny Car championship, with a scintillating 3.875-second, 329.42-mph pass. 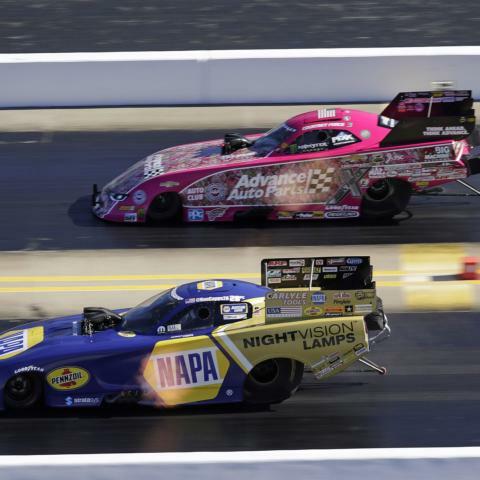 Capps topped the charts in a full-throttle, high-octane opening to a spectacular weekend of 11,000-horsepower Countdown action at the Bellagio of drag strips. "We knew coming in that conditions would be great or better than great," Capps said. "Quite possibly, they could be better tomorrow. This is a great race track and with good conditions, this is what you see. The best part is looking up and seeing (car owner) Don Schumacher smile. The moments like that, seeing the boss smile, it's big." Steve Torrence led all Top Fuel qualifiers with a 3.704-second, 331.53-mile-per-hour pass on his second run of the evening. "I've had quite a bit of success here in the past and I enjoy coming here," Torrence said. "The track is so smooth. … We're going to try to carry the momentum we have here into race day. Clay (Millican) has done a good job of out-qualifying us lately. Every point counts, so we need to keep those guys from getting as many points as possible. … We've got to take this (title battle) one round at a time. We've got to keep working, don't let up and eventually, someone's going to say 'Hey, you lost,' or 'Hey, you won.'" Erica Enders jumped to the top of the Pro Stock charts with a 6.518-second, 211.69-mph run in Round 2. "We came off from the test session prior to Dallas, where we felt like we made some strides in the right direction," Enders said. "After the first session, (teammate) Jeg (Coughlin) was No. 1 and I was No. 2. I was hoping to redeem myself and my crew chief said, 'If we do our job, we'll be on the pole.' We did our job. It's nice to be able to go to bed being No. 1 right now." 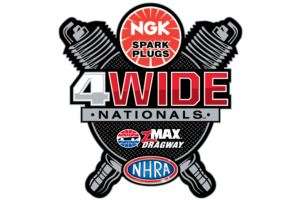 Eddie Krawiec will chase his second straight NHRA Carolina Nationals presented by WIX Filters victory on Sunday. Friday's qualifying sessions saw Krawiec's Screamin' Eagle Vance & Hines Harley-Davidson post a best-in-class 6.806-second, 197.83-mph pass. "We underestimated (the track surface) in our first run," Krawiec said. "The track was good. We came out, made the proper changes. … Rolling into tomorrow, cooler weather means that run could definitely not stand as the No. 1 qualifier. There's five or six who could take the pole from me. It makes it interesting." 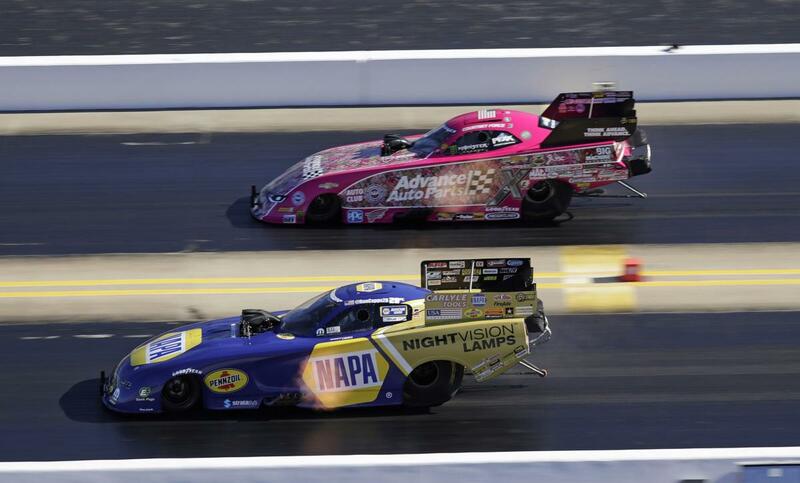 The forecast for this weekend's fourth race of the six-event NHRA Mello Yello Drag Racing Series' Countdown to the Championship features cooler temperatures and clear weather - meaning Saturday's all-important third and fourth rounds of qualifying could switch up the order for Sunday's eliminations.